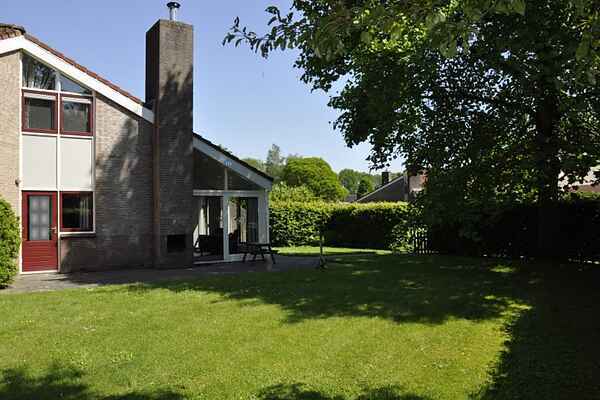 Het Hart van Drenthe bungalow park accommodates two different types of bungalows. The NL-9433-03 is a 4 pers. variant connected bungalow with a kitchen with combi microwave and dishwasher. There are also detached bungalows. There is a 6-pers. comfortable variant (NL-9433-06). The comfortable variants have a modern kitchen with combi microwave, dishwasher and washing machine. Some houses of NL-9433-06 have a bedstead on the ground floor instead of a bedroom. All bungalows have a garden with terrace and garden furniture. Parking is available near the bungalows.